Don't Miss This Royal Celebration! 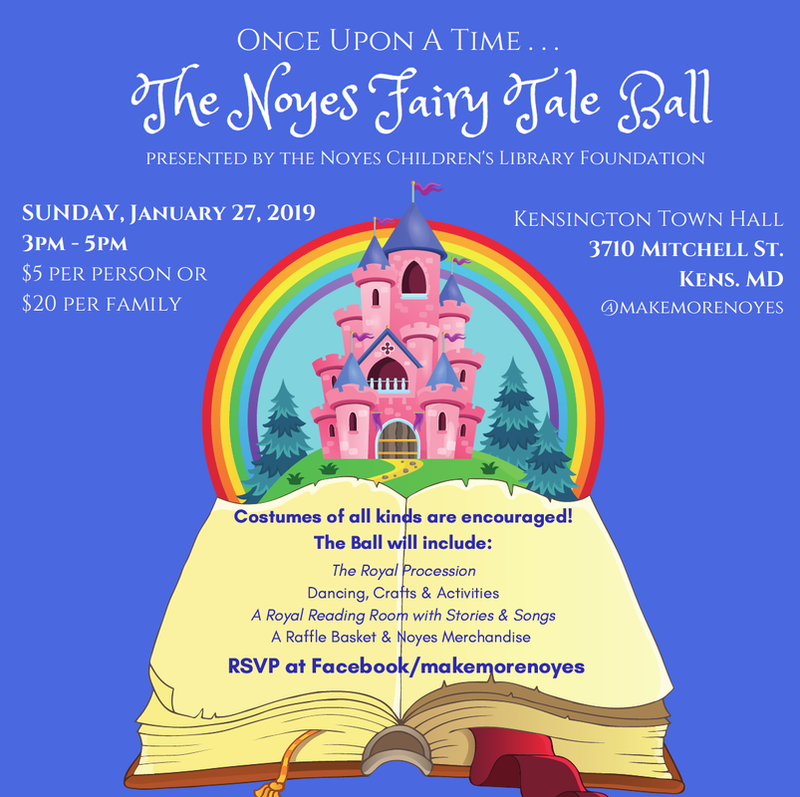 On Sunday, January 27, 2019, the Noyes Children's Library Foundation will host The Noyes Fairy Tale Ball, a family dance party celebrating imagination, fun, and - of course - books! Kensington Town Hall will be transformed into a fairy-tale palace, with children invited to a Royal Procession before joining our fabulous A-Squad DJ on the dance floor. We'll have crafts, photo opps, and a special Royal Reading Room with stories and songs. Costumes are encouraged for children and parents alike! We'll see you at The Ball, with imaginations soaring! You can register for the event through the RSVP form below, or reply as "Going" on our FACEBOOK PAGE, and pay at the door. The Noyes Children’s Library Foundation has my permission to use my or my child’s photograph publically to promote the Foundation and Noyes Children’s Library. I understand that the images may be used in print publications, online publications, presentations, websites, and social media. Click HERE for information about Noyes Children's Library Programs! Click HERE for photos from Foundation Events!